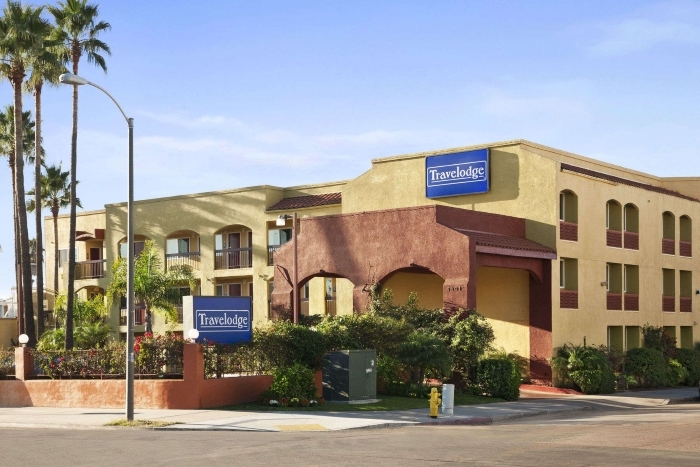 There are plenty of luxury and mid-range hotels in San Diego, but sometimes you just need a good cheap motel. When we're on a budget we often stay in Super-8s, which can vary hugely in quality but you soon discover which are the good ones. Checking out the reviews on sites like TripAdvisor and Hotels Combined quickly gives you a feel for a place. Read our advice below before we list some of our recommended motels that are cheap but good. We often hear criticism of sites like TripAdvisor from people who allege that the reviews are mostly fake and unreliable. While there are undoubtedly some fake reviews on those sites (rave ones from friends, awful ones from rivals) we feel they balance out and if you read the reviews in detail you can tell they are mostly from genuine guests recounting their experiences. You still have to take things with a pinch of salt. Some people are professional moaners, and will complain about the slightest thing. Also, if you have a bad experience you're more likely to want to air it in public than if you have a good one, so there tend to be more negative reviews than positive ones. So read the reviews fully before booking a cheap motel, so you know if you're getting a good one. The number of good reviews compared to bad ones will give you an impression, to begin with. A motel or hotel that gets 90% 4-star and 5-star reviews is likely to be good. One that gets a lot of 1-star reviews... well, read the reviews before booking. 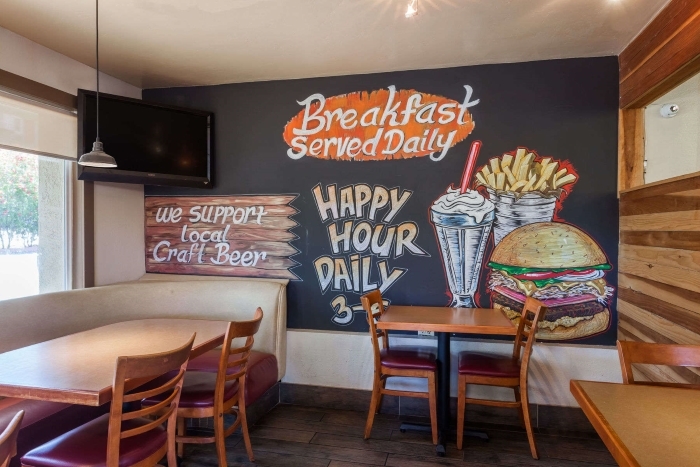 Having said all that, let's save you some of the work by recommending some motels in San Diego that you should consider, depending on your budget, the services you want, and where you want to stay. You might also have a loyalty card for one particular motel chain (yes, we have got one for Super-8!) and that might sway your decision. If prices are pretty equal, you may as well get the loyalty card points. This is on Hotel Circle South handy for easy access to I-8. It's about 5 miles and a simple 10-minute drive to SeaWorld along I-8. 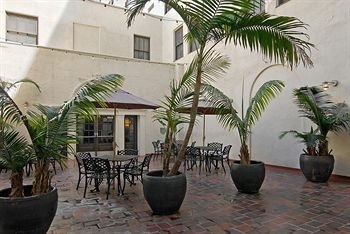 It's also about 10 minutes to San Diego Zoo and Balboa Park, and a little longer to the Gaslamp Quarter and Downtown. This is therefore a budget option that families might consider. Points in its favor are free wifi, free parking, and free breakfast. It does get some poor reviews in among the mostly good ones, so read those first before booking. This is just a few blocks north of Downtown, and on the edge of the Little Italy district and about a 15-minute walk to the waterfront. A plus point is that it's close to several exits from I-5 and so is easy to get to if you're planning an overnight stay. It's got free parking too, but no breakfast, although there are eating places nearby. It gets mostly average to good reviews so definitely worth checking out. The name tells you everything (which is why they make it so long). It's actually about a 30-minute walk to the Convention Center, so it's not that close, but there's also a public transit option which should shave off a little time. It's about the same if you want to get to the Gaslamp Quarter, but just a few blocks from the waterfront. It's very close to an I-5 exit, which is convenient. Breakfast is included and there's free wifi and free parking, the parking being a bonus when you're staying in a city like San Diego. It gets mixed reviews so read them first, but given the location and the price, it's a decent option for a more budget but reasonably-located motel. Another long name designed to catch the search engines and tell you something about the place. It's handily placed just off an I-8 exit on Hotel Circle South, but it's about 5 miles from SeaWorld, although it is an easy 10-minute drive along I-8. It also has an outdoor pool but you'll pay for parking and breakfast. Wifi is free. 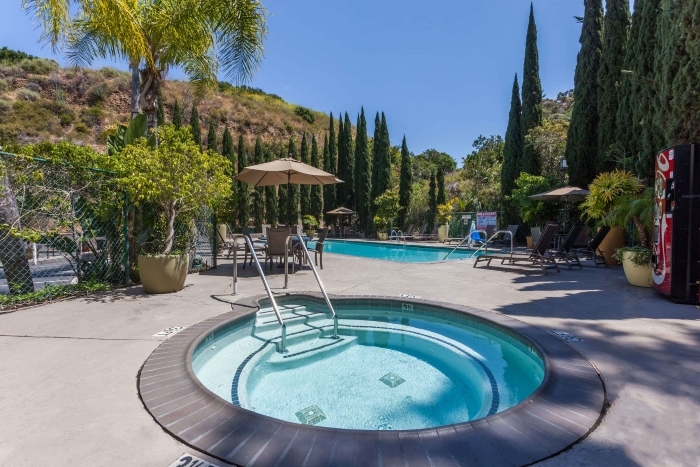 It's almost 5 miles from Downtown but only 3 miles or so from Balboa Park and San Diego Zoo, so worth considering for a cheap family motel. It gets mostly good to excellent reviews, and very few poor ones. Here's a map to show you where the hotels are in relation to SeaWorld, the San Diego Zoo in Balboa Park, and the Gaslamp Quarter in downtown San Diego. Click on the map to go to the larger and interactive online version. 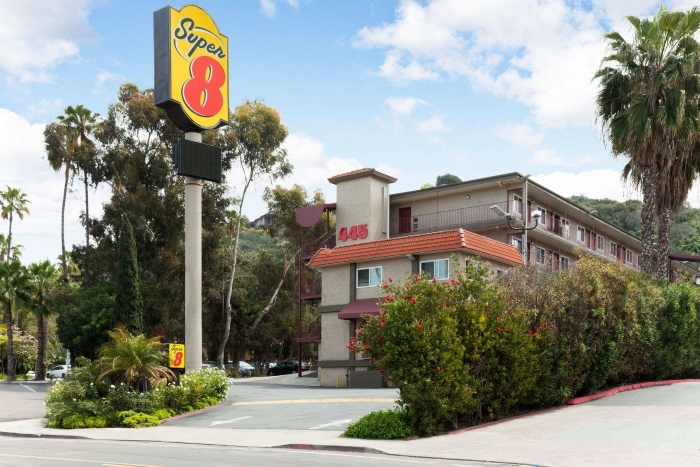 Note that Days Inn and Super-8 are very close to each other so they overlap at Numbers 4/5 on the map. 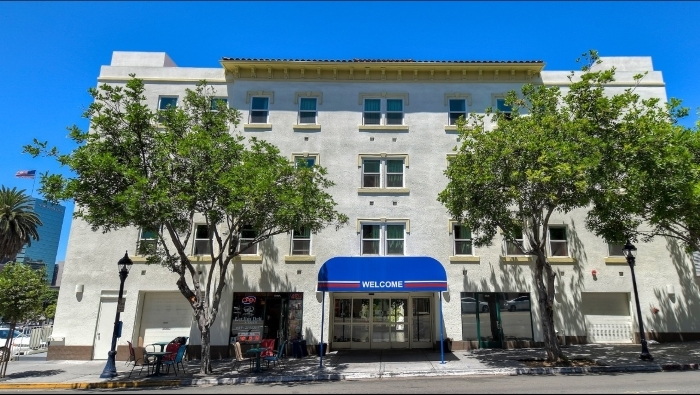 Close to the Amtrak station and a few blocks back from the waterfront, the 500 West provides inexpensive accommodation that's also close enough to the downtown/Gaslamp Quarter attractions. With rooms well under $100 a night, this is a cross between a hotel and a hostel, housed in a historic 1920s landmark building. Rooms share bathrooms but all have TVs and WiFi. Don't Miss Any of our San Diego Pages!